Andrew Davies is renowned for turning literary classics into prime-time television drama, from Pride and Prejudice and Bleak House to War and Peace. He talks to Samira about his new BBC One series, a reworking of Victor Hugo’s Les Misérables, explaining the appeal of the 19th Century epic novel and why the stage musical version of the book didn’t influence his adaption at all. In the Bible, Matthew wrote about the Three Wise Men, Luke about the shepherds and the angels, and ever since, Christmas has provided inspiration for writers. John Milton wrote On the Morning of Christ’s Nativity, Jane Austen has a Christmas scene in Persuasion, Ernest Hemingway wrote about Paris at Christmas and Helen Fielding, in Bridget Jones’s Diary, has Bridget attending a terrible yuletide family gathering. Writer Matthew Sweet, critic Arifa Akbar and Professor Stephen Regan, who has traced the history of Christmas in English literature, discuss the different ways writers have treated Christmas in their work. Sheffield-based poet Helen Mort talks about the poetry of the festive season and reads her Christmas poem written especially for Front Row. 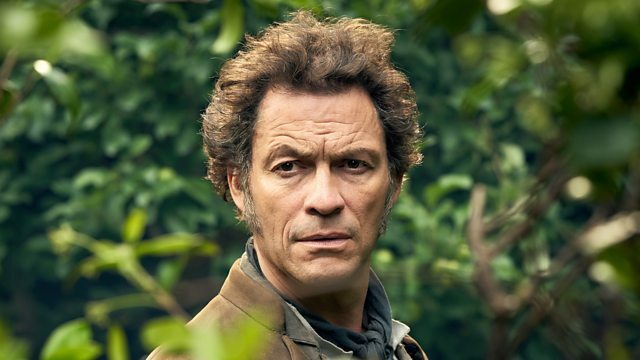 BBC1's 6-part mini-series of Les Miserables is on Sundays at 9.00pm from 30 December 2018.
and made the rain new blood. milk came swaddling-pale, shepherd’s flock white. past bedtime, willing the morning close. you slept, prone angel on my chest. trying to guess what you are.